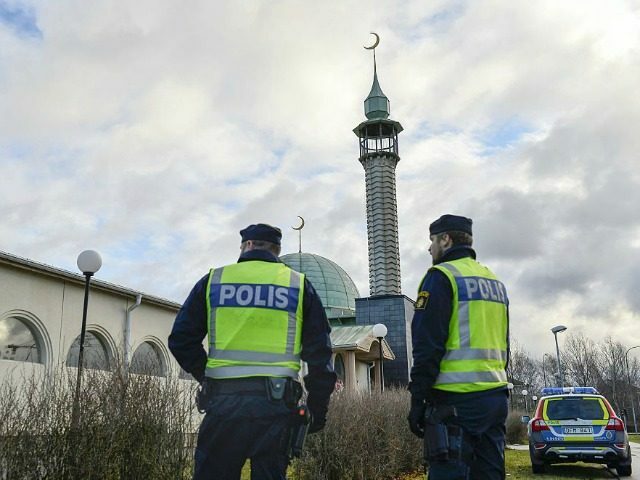 The Swedish security agency Sapo revealed there are 2,000 violent Islamic extremists in the country – rising ten-fold from 200 in 2010. Just seven years ago, Sapo claimed there were 200 violent Islamic extremists. But today, they dominate the number of violent extremists with the agency noting that in total there are an estimated 3,000 violent extremists in Sweden, Göteborgs-Posten reports. “We’re talking about 3,000 people, of which over 2,000 are violent Islamist extremists,” said Security Service Chief Anders Thornberg. He added the majority of the rest of the violent extremists, 600 to 700 people, came from either neo-Nazi or left wing extremist backgrounds. “We have to go through these environments to know what to prioritise and what are the main threats,” he added. The numbers are a massive increase from 2010 when Sapo said there were only 200 violent Islamists and around 100 neo-Nazis and far left extremists. Sapo now receives around 6,000 extremism related tips every month. Five years ago, the number was 2,000. Many of the tips come from the public whilst others come from foreign intelligence agencies. Thornberg had previously blamed mass migration for the increase in Islamist extremism saying: “We used to have different circles. We had radicalised (people) from North Africa, the Middle East and Somalia, but they were all separate,” but said Islamic State propaganda had unified many of the communities. The Swedish government has estimated that around 300 Swedish nationals have travelled to Syria and Iraq to fight for the terror group and other jihadist factions. Many of the fighters have returned home and some have been given “protected identities” normally given to those in danger with others having even adopted new identities. One of the most infamous Swedes to have travelled to Syria, and who still remains in the Islamic State capital of Raqqa, is Islamic convert Michael Skråmos. Skråmos, a former “Islamophobia expert”, joined the terror group in 2015 and appeared in Islamic State recruitment videos encouraging Swedes to join the group. Since the start of the battle of Raqqa, Skråmos has stopped urging Swedes to join, saying that Islamist followers should initiate terror attacks in Sweden itself.